The RV Doctor: More Water Please! Like many people, we do a lot of dry camping. And one of the most important resources when dry camping is the water tank capacities. Unfortunately the new RV we just purchased only has a 50-gallon fresh water storage capacity. Not enough for a long weekend with our three kids. I've been told I can add an additional tank to increase that capacity. I've even found a site that sells RV water tanks of various sizes at reasonable prices. However, I have no idea how you would go about "linking" the new tank to the existing tank so I would only need one filler spout and one pump. Do you have any suggestions as to how I might do this? Dave, instal ling a second fresh water storage tank is indeed doable, however, I usually recommend a separate fill to accommodate faster filling. It can be done with a single fill by linking the two tanks together with an approved fresh water tubing. Both tanks must be on the same level and be the same height in order to get by with one fill spout. You’ll need to connect a water line, the larger the better, at the bottom of each tank and a vent line at the top of each tank, linking the tanks together. 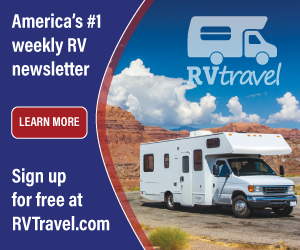 Some tanks have auxiliary threaded fittings already installed, but additional fittings can be welded on or spun on by any properly equipped RV shop. There are even two-piece fittings available that simply require a hole drilled in the tank to install. Leave the pump where it is and let gravity do the work of equalizing the levels in each tank. Remember, water seeks its own level, so if they are connected together at the top and bottom, they will drain together as water is pumped through the system. They will also fill at the same time, though it may take more time for the levels to equalize during the filling process. You’ll only need barbed fittings and simple hose clamps since the new fittings will not be pressurized. Only those fittings located downstream of the water pump will be under any pressure other than static pressure. The hardest part will be routing the fresh water tubing between each tank. But it will indeed provide additional fresh water storage. Don’t forget, the new tank will also require its own drain valve and fitting as well.